Flower bulbs are very easy to grow. All you have to do is plant them in the ground, give them water, and watch them grow. They are very low maintenance. If you’re an inexperienced gardener, they are a great choice to start out with. Anyone can do it! Planting Bulbs are great because they store food and are able to grow every year. They have some type of mechanism in them that lets them store food while under the ground. There are many different types you can grow for the different seasons. If you want to plant spring flower bulbs such as Daffodils and Tulips they should be planted in the fall. Spring bulbs need a period of cold weather in order to grow. This is why we plant them in the fall. Begin to plant your summer bulbs towards the end of spring. Good choices for summer bulbs are Begonias, Gladiolus, and Dahlias. These flowers all come in a great selection of colors. Choose your favorite colors for a gorgeous spring garden. They will begin to grow a few months after being planted. Just remember to plant your flowers in late spring. Summer bulbs do not keep well in the cold. If you live in an especially cold area, you may want to dig the bulbs up before winter, and store them indoors. Then plant them the following season. Fall is another season for planting bulbs. 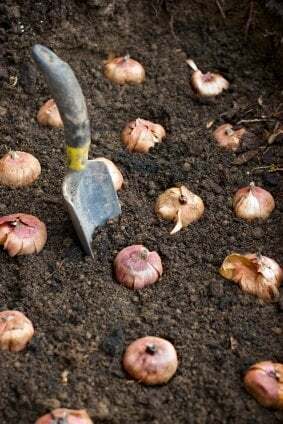 You can begin to plant fall bulbs in early summer. You can have your pick from Hyacinths, Snowdrops, Crocuses, Anemones, and many more. Select something bright and colorful to liven up a fall garden. Mix and match to make your fall garden beautiful! They are either perennializing, or naturalizing. Perennializing bulbs will grow back for several years. Naturalizing bulbs will grow back every year. There are four different types: corms, true bulbs, tubers, and rhizomes. A corm is made up of solid tissue. They are a storage organism that can hold up in the toughest summer and winter weather. 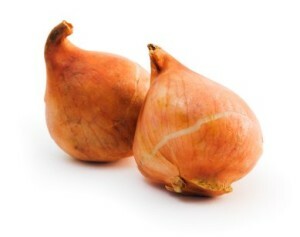 An example of a corm is freesia. A true bulb is made up of layers that house an embryo of the actual plant to be planted. Tulips are true bulbs. Tubers are a mass of tissue that stores the plants nutrients. Calla lilies are a type of tuber plant. A rhizome is a stem of a plant that grows horizontally. Canna is a type of rhizome. Below are listed several different types of bulbs. Look over each one to decide what works best for your area, soil, and of course which ones you like best!